This document sets out how Stork Legal Pty Ltd trading as Perth Property Lawyers (“we”, “our”, “us”) deals with instructions, and the terms of engagement that apply if we accept instructions. (c) if we accept your instructions, confirm the fixed fee that we will charge to act on the matter. If our actual client for the matter is a new client, or this document has changed since we last accepted instructions from the client, then we will ask you to confirm that the terms of this document are agreed. This document will constitute a costs agreement between us and you for the purposes of part 10 division 6 of the Legal Profession Act 2008 (WA) (“LPA”). We may require you (or our actual client for the matter) to sign a written costs agreement for the matter. If our fixed fee exceeds $1,500, we will give you any required disclosure under part 10 division 3 of the LPA. If you instruct us on behalf of any other person, then we will act on the understanding that you have that person’s authority to do so. We may ask for evidence of that authority before we accept instructions. (c) the requested work falls outside the scope of our fixed fee services. Most of our fixed fee services, and the fixed fees that we charge for those services, are listed on our website. However, we may offer a fixed fee for other services (including work that would normally fall outside the scope of our fixed fee services) on a case-by-case basis. Unless otherwise agreed between us and you, we will not incur any substantial disbursements on your behalf, including PPSR and Landgate registration fees. We will normally require you to provide us with funds to meet those fees before we attend to registration. (b) our fixed fee will be payable in full, even if for some reason the document ceases to be required or is not ultimately executed by one or more parties. We guarantee to turn around your instructions within two business days after we confirm acceptance of those instructions (“Turnaround Guarantee”). Our Turnaround Guarantee means that we must execute your instructions before midnight on the second business day (in Western Australia) after the date on which we accept instructions. If we fail to meet our Turnaround Guarantee we will, upon request, reduce our fixed fee by 50%. You must ask for this reduction within one month after we accept your instructions: otherwise, our full fixed fee applies. Because of the time-sensitive nature of our Turnaround Guarantee, we may reject instructions to act for you on a matter if you cannot provide us with an appropriate means of communication, such as email. In addition, we will not accept requests for fixed fee reductions where we are unable to satisfy the Turnaround Guarantee due to communication issues that are not our fault (for example, where your email address bounces). (b) lease document negotiations, or any other work where completion depends on a third party. Unless otherwise agreed between us and you, we will issue and address all of our invoices to our actual client for the matter. The client’s liability to pay us is not affected by any right that the client may have to recover costs from another party under any agreement or understanding. We usually issue our invoice upon substantial completion of an instruction. However, we reserve the right to issue an invoice at any time. Our invoices are payable within 14 days. The types of documents that we prepare are listed on our website. These are all “standard” documents that are designed to cover a broad range of scenarios. We maintain a suite of precedents for our standard documents. Any document that we prepare for you will be based on one of those precedents. We update our precedents on a regular basis to reflect changes in the law and best practice. This means that if you instruct us to prepare a document, it may or may not have a different appearance or content to documents we have previously prepared for you. Unless we accept instructions from you to the contrary, the scope of our engagement excludes the following. (a) Advising on tax matters. (b) Advising on the solvency of any party. (c) Advising on laws that do not apply to Western Australia. (d) Making major changes to our precedent document. (e) Providing any substantial advice. (f) Acting in any negotiations. (g) Seeking the consent or approval of any third party. (h) Ensuring proper document execution. (i) Advising on the powers of any trustee. (j) Registering the document at Landgate. (k) Advising on security interests under the Personal Property Securities Act 2009 (Cth) (“PPSA”). (l) Registering any PPSA security interests. (m) Preparing or serving a disclosure under section 68 of the Contaminated Sites Act 2003 (WA). (n) Preparing or serving a disclosure statement under section 6 of the Commercial Tenancy (Retail Shops) Agreements Act 1985 (WA) (“Retail Shops Act”). (o) Advising on disclosure requirements under the Retail Shops Act. (p) Advising or acting on any application under the Retail Shops Act. (q) For any document other than a caveat, registering that document at Landgate or on the PPSR. (r) Acting in ongoing correspondence with any party. (s) Acting in any court or tribunal proceedings. If you provide us with a fax number or email address, you agree to us communicating with you via that number or address. You warrant that you will provide us with complete, accurate and timely instructions and acknowledge that a failure to do so may result in a loss being caused to you or us or another party. You agree to be responsible for any such loss, directly or by indemnifying us. We are not responsible for checking the accuracy or completeness of any instructions or information that you provide to us or for any error or omission that we make in the performance of our services or for any claim, demand, action, proceeding, judgment, order, assessment, penalty, interest, costs or expenses suffered or incurred by you (or by any other person) resulting from the instructions or information that you provided to us being inaccurate or incomplete. This document applies from 13 July 2018. 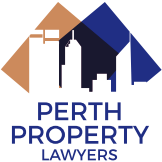 The current version of this document is available at www.perthpropertylawyers.com.au.